This two toned blend is a hit. 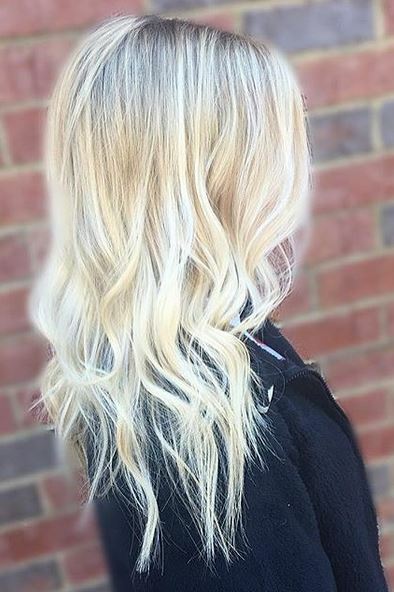 Almost platinum with butter, gold blonde undertones. 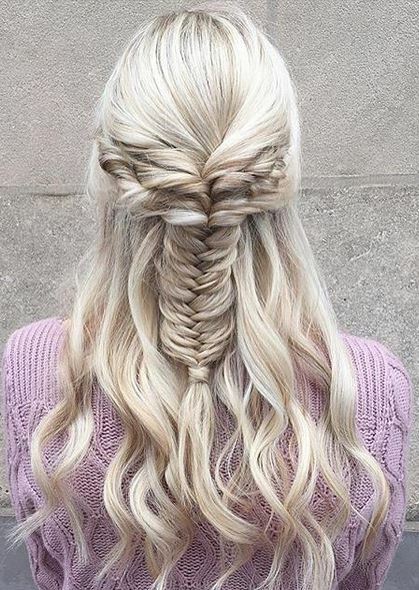 Talk about some hair color and style inspiration – absolutely love this platinum, snow blonde with an amazing fishtail braid. Color, cut and style by Kayla Juneau. Going platinum blonde – a chic way to update your fall look. 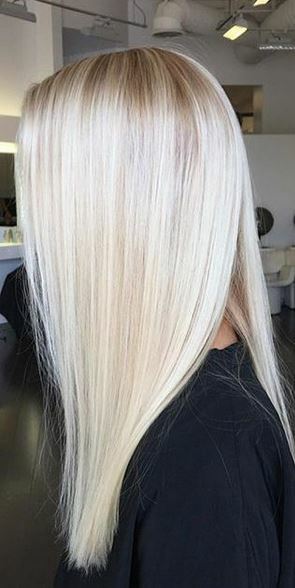 Platinum blonde. Cool for the summer. And icy for the winter. 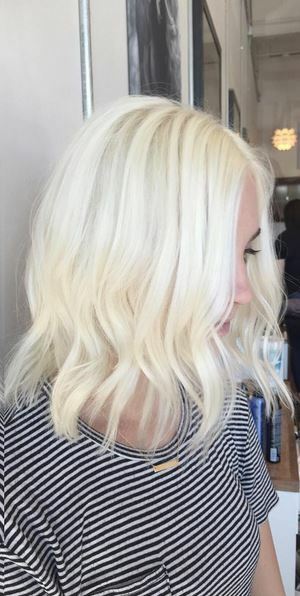 Need some blonde hair color inspiration? Take a lighter approach. Just make sure you get a moisturizing hair mask too.